LONDON – The time it takes the average taxpayer to cover their tax bill has shrunk since last year, however, the government is still outspending its own incomes. Each year the UK think-tank, the Adam Smith Institute, calculates and publicizes the date of Tax Freedom Day, which will fall on May 29th in 2018. Tax Freedom Day is a commonly used theoretical measure aimed at illustrating the extent of the tax burden in a country. The date is calculated through examination of total tax receipts expected to be seen in a country and the total production in the same country, all over the course of the same year. Tax Freedom Day is commonly described as the date at which taxpayers will have earned enough to pay their annual tax obligations, and will be able to start working for themselves. LONDON – Give millennials cash, and tax baby-boomers to fund it, says think-tank. The UK think-tank, the Resolution Foundation, has proposed a series of extensive tax overhauls, aimed at repairing the “broken” intergenerational contract between millennials and baby-boomers. The headline suggestion of the Foundation was to bestow upon all taxpayers a windfall of GBP 10 000 when they turn 25, with the intent that the funds could be used to upskill, as a deposit for a house, or to start a business. The payment would be funded by an overhaul to the inheritance tax system, which would see a new tax rate of 20 percent on all gifts in a lifetime to a total of GBP 500 000, and a rate of 30 percent on all further gifts. 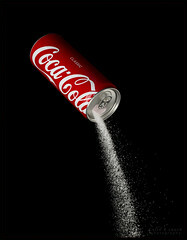 LONDON – The UK’s sugar tax has already forced drinks manufacturers to reduce their sugar, and will lead to young people consuming less sugar, while older consumers are showing very little sign of wanting to change. New research conducted by experts at the UK Institute of Fiscal Studies has suggested that the country’s newly-enacted sugar tax will lead to a reduction in sugar consumption among only a select group of people in the country. Under the new rules enacted on the 6th of April, drinks manufacturers will need to pay a tax of GBP 0.18 per litre on drinks with a sugar content exceeding 5 grams per 100 ml, and a higher tax of GBP 0.24 per litre on drinks with more than 8 grams per 100 ml. 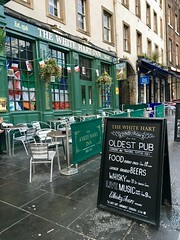 LONDON – Pubs are a bastion of British culture and need to be considered when forming tax systems, according to campaigners. Too many British pubs are closing, and a tax change is needed to put an end to the closures, according to a statement by the Campaign for Real Ale (Camra). Over the second half of 2017 an average of 18 pubs closed each week in the UK, and between 2008 and 2013 a total of 7 000 pubs closed, taking with them approximately 58 000 jobs. Camra claims that the closures can be attributed largely to the tax burden faced by pubs. They stated that pubs in the UK face one of the highest rates of beer duty in Europe, along with rising rates of VAT and business tax.